The 82-E Contractor's Calendar has a handy memorandum pad combined with a useful table giving the remaining days of the year exclusive of Sundays and the remaining days of the year exclusive of Saturdays and Sundays. An easy-to-read, Display-A-Year® calendar is featured beneath the pad each month for easy reference. • Ad Copy Size: 16-7/8" x 5-1/4"
• Ad Copy: Prints in Black ink. 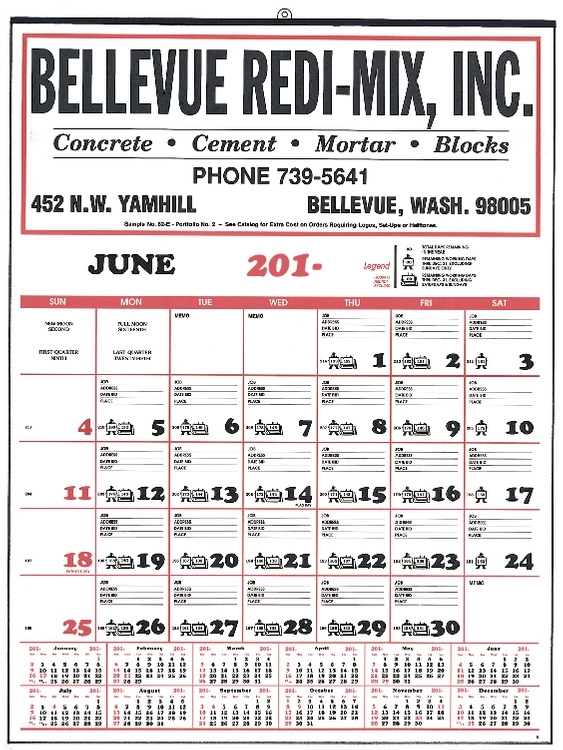 Calendar dates in Red and Black ink.